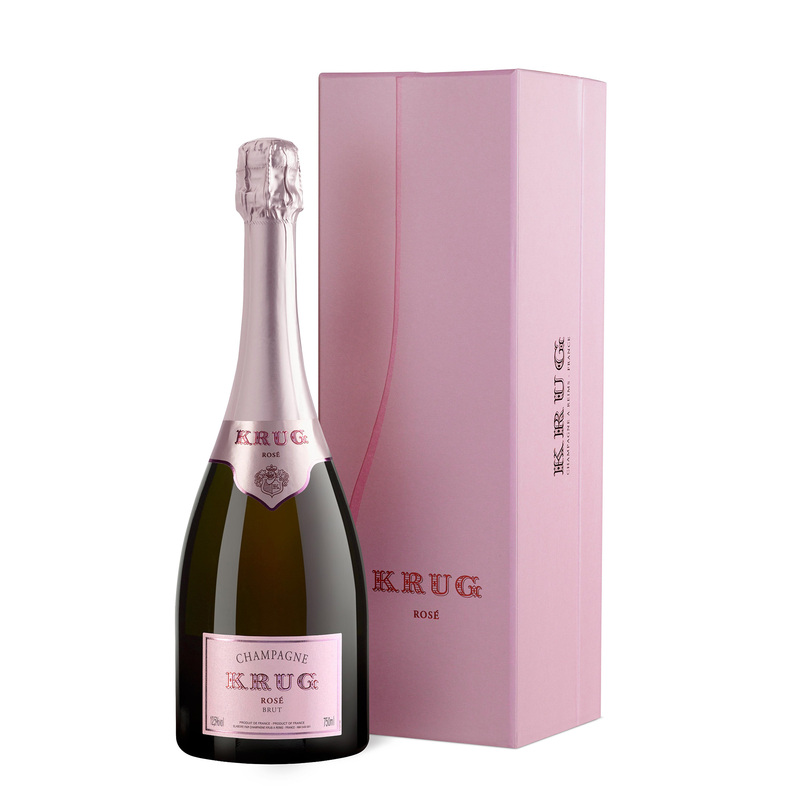 Krug Rose Its pale tawny-pink colour and miniscule bubbles lead to a bouquet of wild strawberries and concentrated flowers. The colour is surprising – a pale delicate salmon gold touched with coral – and provides the first hint of the unique taste to come.On the nose Krug Rosé is fragrant complex enchanting and the first sip confirms those perceptions. 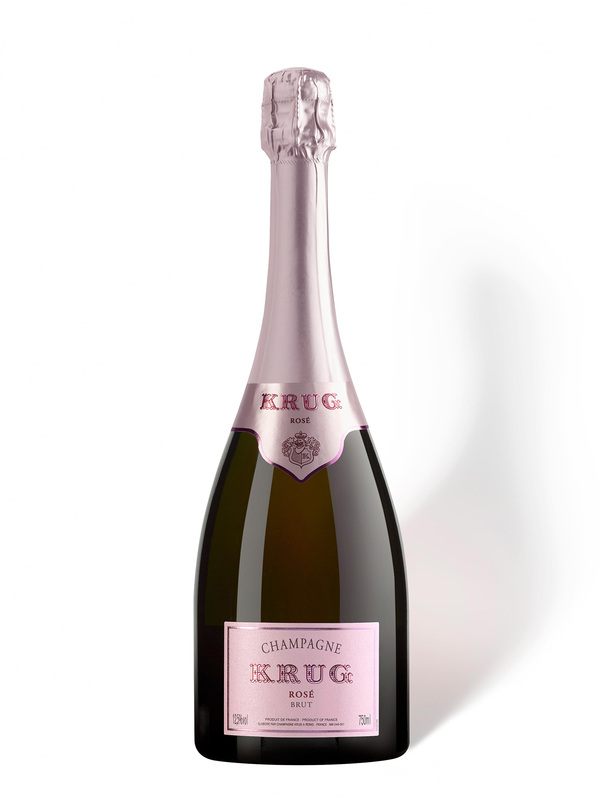 Notes of fruit including wild berries hints of spices and a particular delicacy define Krug Rose. It is also very dry yet subtle mellow and beautifully silky. 20-30 Chardonnay 50-55 Pinot Noir 15-20 Pinot Meunier Sending a bottle Krug Champagne gives any gift a feeling of Excellence. If you want to send more Krug gifts please see full list below.